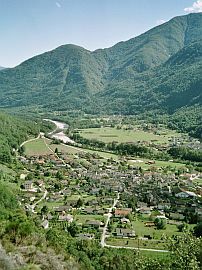 The village of Maggia was first documented back in 1225. The nearby village of Moghegno features a vast necropolis dating back to II/III AD. 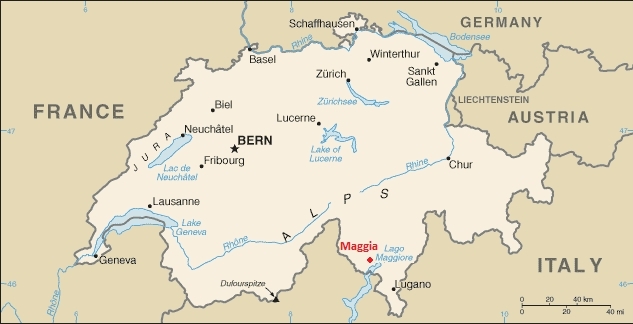 Maggia is situated in the Ticino region of southern Switzerland, renowned for its Mediterranean climate. 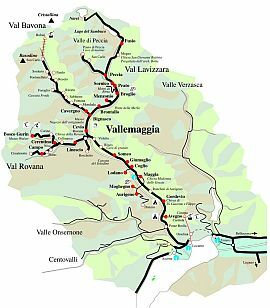 The Maggia Valley (Vallemaggia or Valmaggia in Italian, Maggiatal in German) begins at the hamlet of Ponte Brolla (10 minutes north-west of Locarno) and runs north-westwards, branching out into various smaller valleys (Val Bavona, Valle di Peccia, Val Lavizzara, Val Rovana, Val di Campo, Val Sambuco). 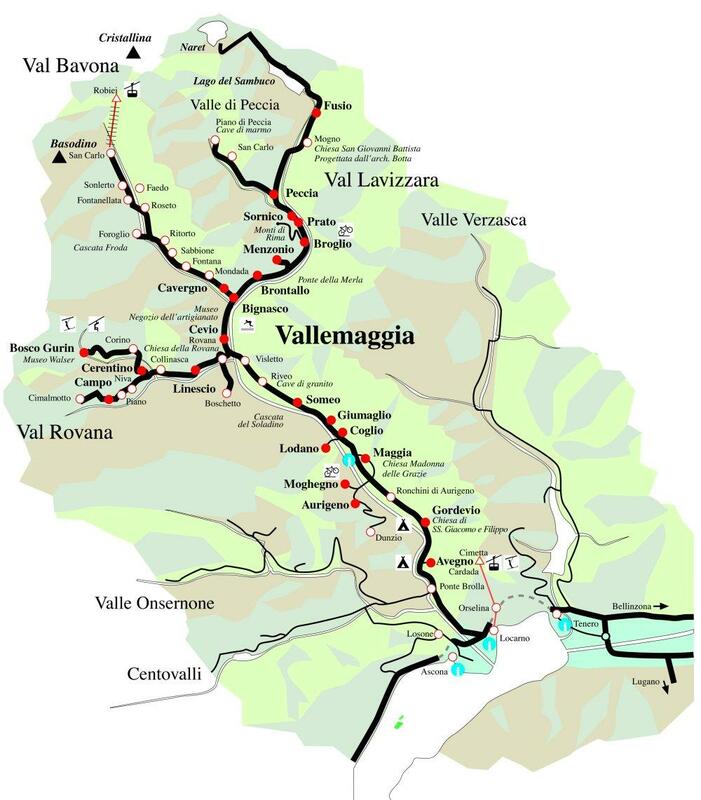 The valley is dotted with small picturesque villages with traditional stone houses, vineyards and dairy farms. Tall waterfalls are a common sight in the valley as many mountain streams feed the Maggia River throughout its course. In a distance of less than 40 kilometers the Maggia River runs from the foot of an alpine glacier to Lake Maggiore, beginning with tundra plants at its source and finishing with tropical palm trees at its mouth. In the mid-19th century due to food shortage, economic hardship and an unsustainable population, many families emigrated to Australia and the Americas. According to historians, the number of inhabitants in the valley sunk from 10,000 in 1700 to 4500 in 1950. The largest industries of the valley after tourism are stone quarrying and dairy production.